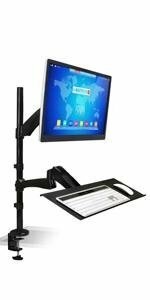 Up to 27" Up to 30" Up to 30" Up to 27"
Monitor and Desk Mount specialist Mount-It! 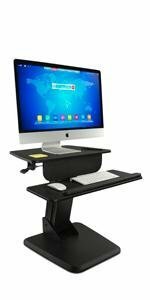 will change the way you work! 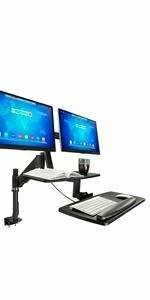 This height-adjustable desk mount clamps to the edge of your existing desk and allows you to work comfortably from either a sitting or standing position. 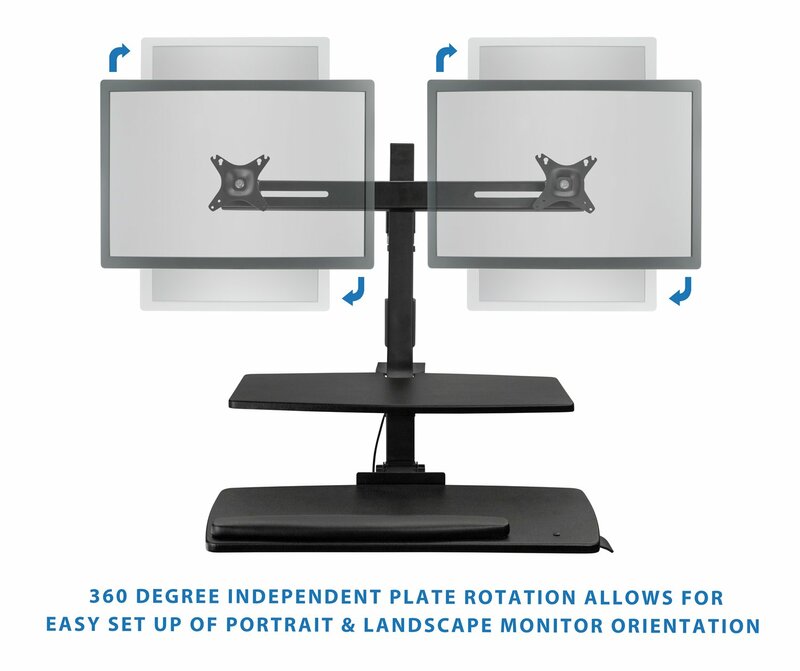 MI-7902 provides you a easy, quick, affordable way to switch position from sit to stand. 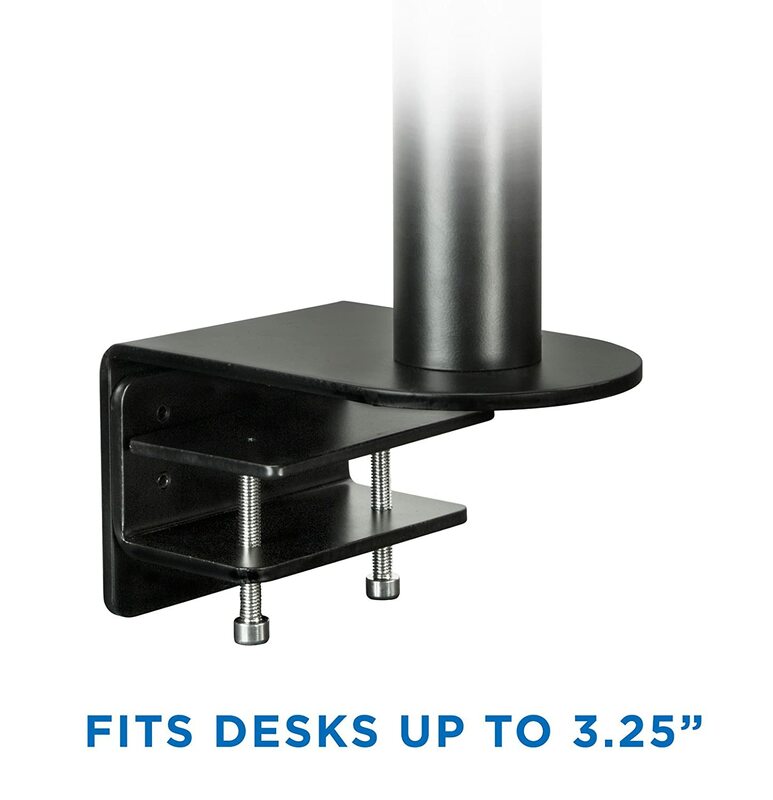 Preventing you from sitting too long while working and allowing you to work under a most ergonomic standing position. MI-7902 gives you various placement options for convenient use of two monitors and your laptop, notebook and keyboard. 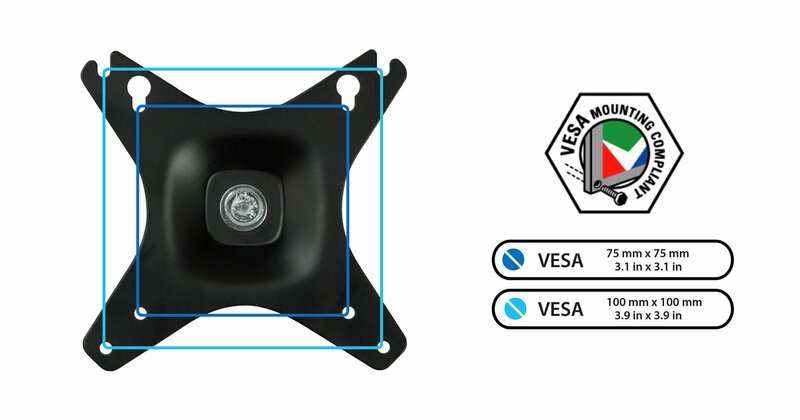 Spring-assisted lift mechanism that allows you to raise and lower it almost effortlessly in just seconds. 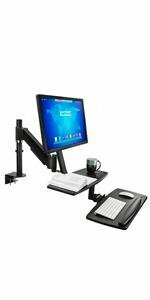 MI-7902 gives you all the sturdiness and flexibility of Mount-It! products in a compact footprint.